We were out at a friend’s lakehouse for the weekend. 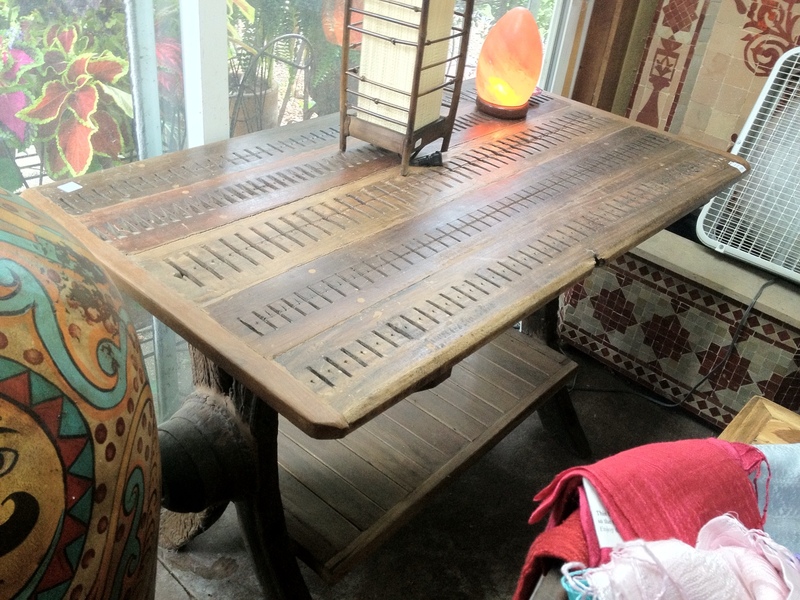 It was raining today, unfortunately, so a few of us went to this amazing place nearby that sells fabulous folk art and handmade imports of all sorts – furniture, rugs, textiles, clothes, jewelry, bags etc. I joked before I went to my husband that I wouldn’t buy anything major unless I found a loom. 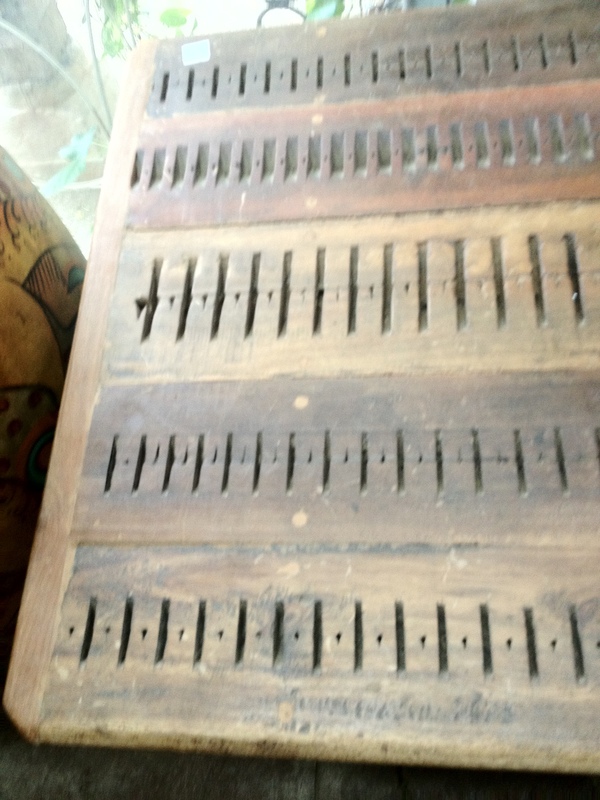 🙂 I did NOT find a loom, but did see a loom “table.” (I didn’t buy it, but did get some photos) Check this out – I think these are vintage/primitive heddles that were connected to make the tabletop…. So cool!